Carrie Patterson Reed joined VML as a group director in 2017. 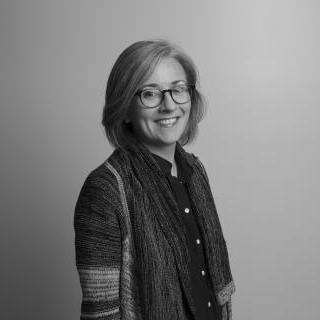 In Carrie’s role, she aids the planning, experience design and channel teams in understanding consumer insights and translating those insights into impactful strategies in the creative development process. She brings 15 years of experience working in brand development, strategy and insights research and has spent the majority of her career working with Fortune 500 companies to articulate brand messages that build deeper relevance with consumers. Prior to VML, Carrie spent several years as a research and insights consultant and eight years at Olson Zaltman as a research director. She also has brand and product development experience with start-up travelware company, Anthologie North, and has been a contributing member of the start-up community. Carrie started her career working in arts marketing at the MoMA and Guggenheim and digital marketing at Digitas NY. Her research interests include trends exploration, semiotics, and design. Carrie studied consumer behavior and marketing as a concentration to her graduate degree at Columbia University. Her undergraduate studies were in psychology, sociology, and art. The themes of visual storytelling and psychology have been interwoven throughout her studies and career and continue to be a source of inspiration.